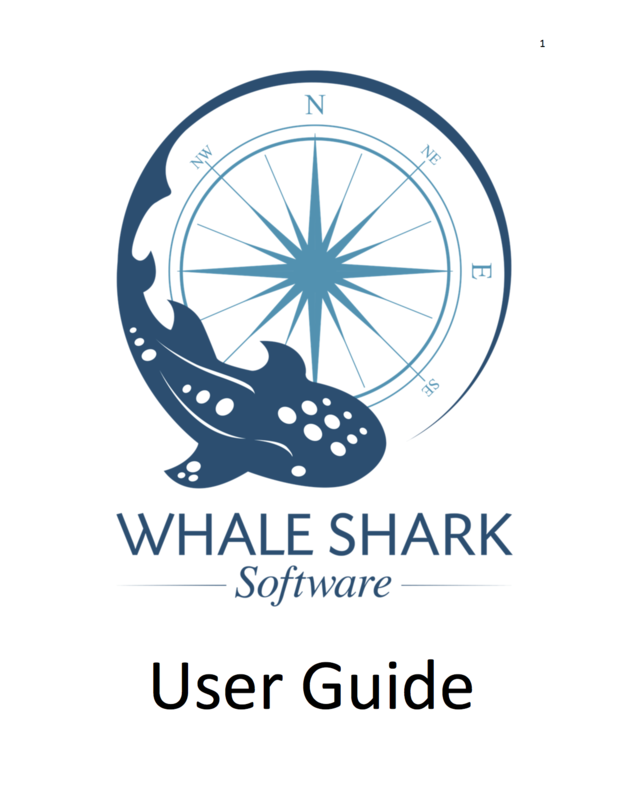 Navigate your ocean of data with ease. Find out if EC-AID is right for your Special Education team. Sign-Up to start your 30 day free trial. Add as many teachers and students as you like. System generated notifications & data collection from your mobile phone. Calendars can now be entered and assigned to students so that notifications only occur when the student is in school. This also helps to distribute notifications more evenly. Each student has been associated with a default calendar for the account. You can go to Admin -> Calendars modify the default calendar or create new calendars. Students are associated with calendars when either creating or modifying a Student. IEP Goal Reports have been simplified to just one report. 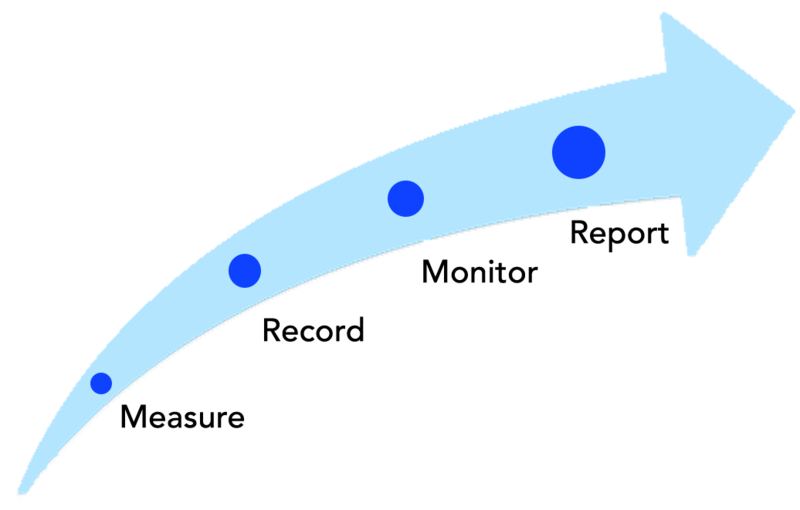 A date range can be selected as well as whether a report shows trendlines. These options can be selected in the report options at the top of the report. 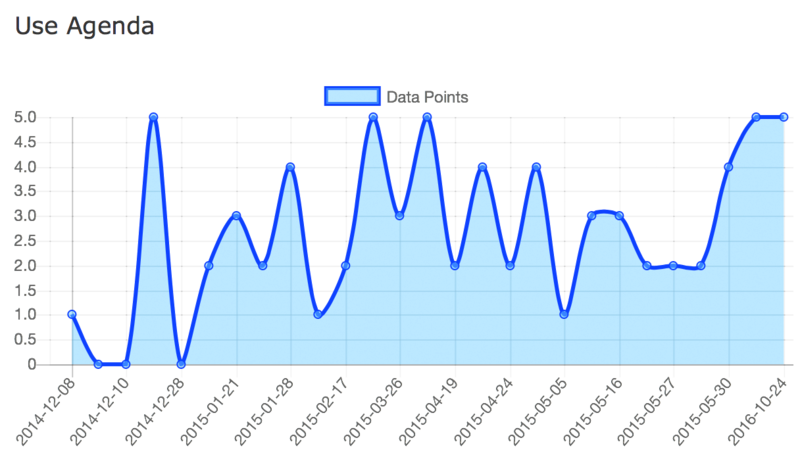 Accommodation Reports can now also show a selected date range of data points. These can be selected in the report options at the top of the report. Comments can now be added to Students, IEP Goals and Accommodations. These can be used to document student performance overall or with respect to a specific goal or accommodation. Comments can be entered on the Student Detail, IEP Goal Detail, and Accommodation Detail pages and will be presented on respective reports. 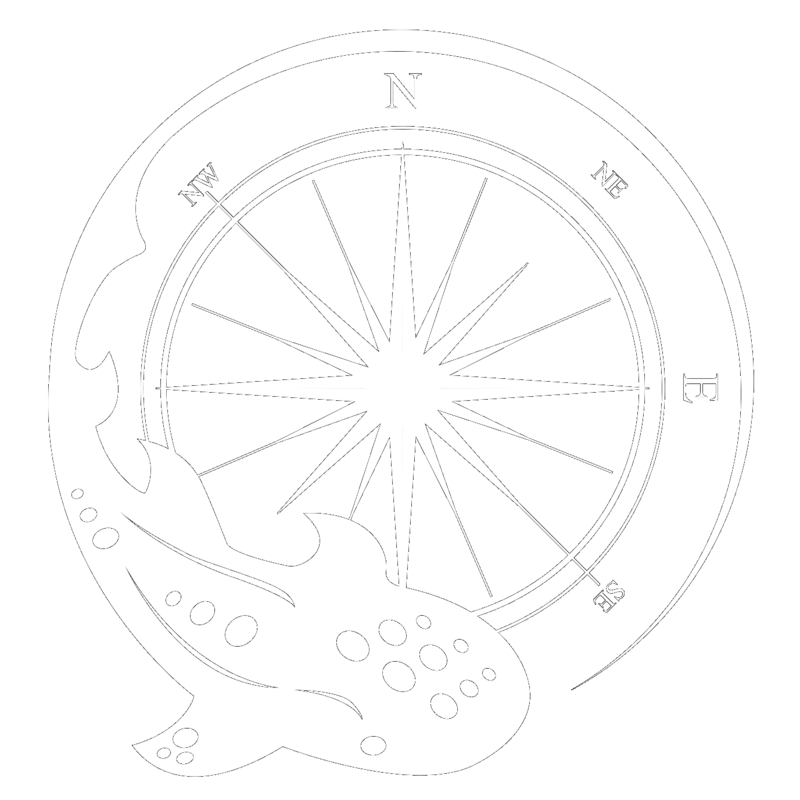 Whale Shark Software offers an application that allows your special- and general-education teachers to easily collect IEP goal progress and accommodation use data with the click of a button. Developed with input from EC teachers and specialists, EC-AID (Exceptional Children Accommodation & IEP Data) allows your team to drive decisions based on data collected in class as it happens. EC-AID generates graphs that will display a student's growth over time. 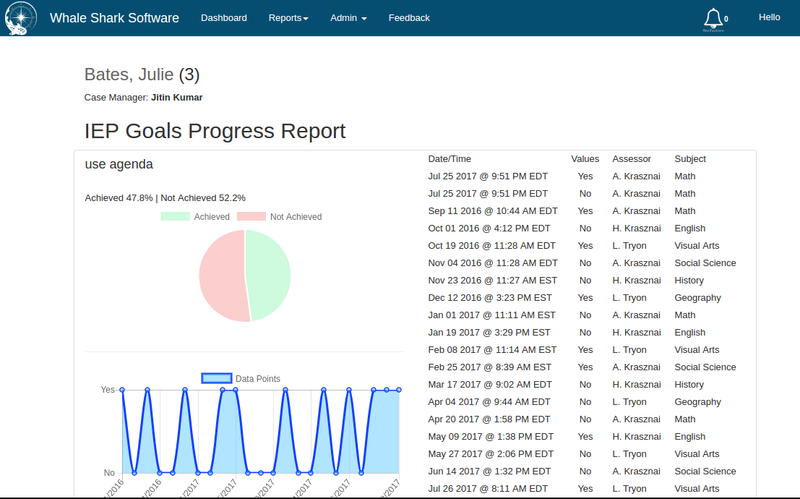 Our student-centered model allows all teachers, specialists and therapists to collect and record data points to ensure progress-monitoring compliance. 1 students do not have direct access to EC-AID but results may be shared with students in IEP meetings or at the case manager's discretion. EC-AID is a special purpose, FERPA-compliant application that allows Special Education departments to track IEP goal progress and accommodation use. By putting an easy to use interface in the hands of the teachers, accurate data can be collected, reported, stored, and acted upon. Too often, this critical data is forgotten, or even fabricated, because it is not being recorded at the time it happens. EC-AID encourages IEP goals to be written in a way that is measurable and one can set the number of measurements to be enforced by the system. Case Managers can be alerted if data samples are not being recorded as the semester progresses allowing for problems to be addressed before it is too late. 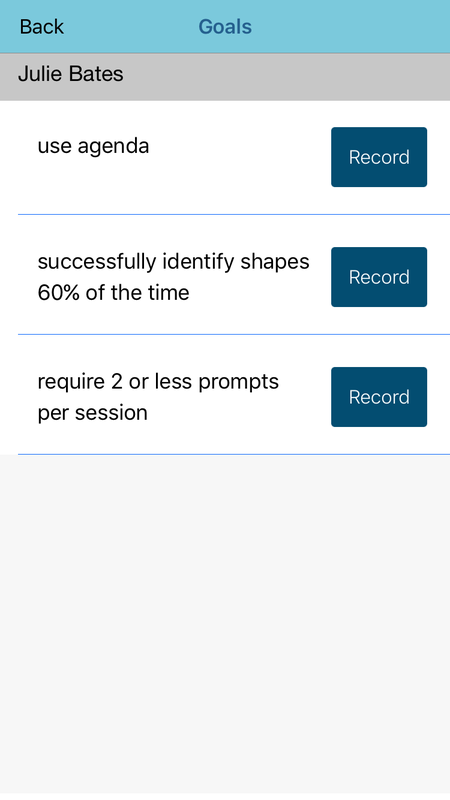 EC-AID prompts teachers to record goals with a very simple interface. The prevalence of smart devices puts this tracking in the palm of their hands or as near as any web browser. 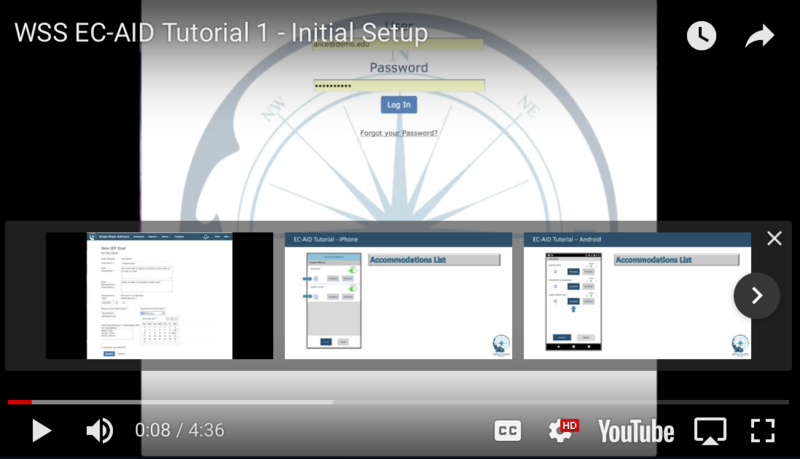 In addition to recording progress towards a student’s Individualized Education Plan (IEP) goals, teachers can easily access student accommodations to prepare for a test or quiz. The use of or rejection of an accommodation is also tracked allowing Case Managers and parents to see what helps and what doesn't. What are the advantages of using EC-AID? Encourages writing IEP goals that are measurable. Data collection is prompted so that teachers don’t have to remember to do it. Case managers can see and follow up when data collection is not happening. 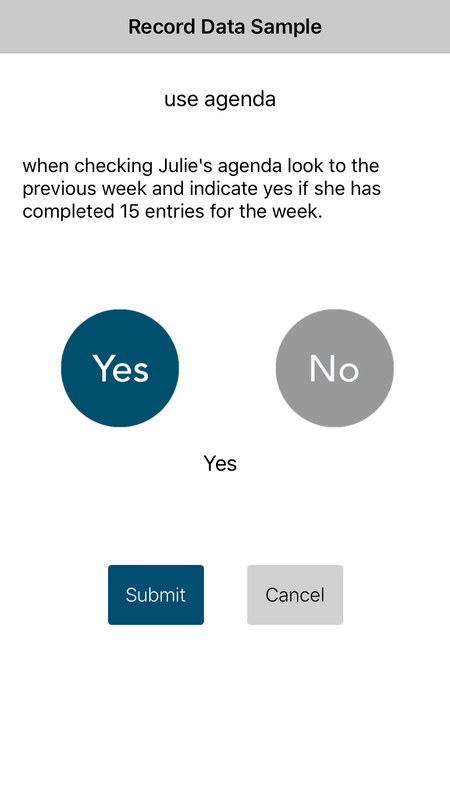 No paper data collection forms to print, distribute, fill out, collect, file or lose. Reports can be printed and filed, or re-printed as needed. Lightweight, special purpose application allows it to be affordable. Using EC-AID starts with one or more case managers and a program administrator (who could also be a case manager). Case Managers are typically members of the Special Education department. They enter some basic student information, accommodations and IEP Goals. The remaining users are the teachers – anyone who might be measuring IEP goal progress or need to administer student accommodations. These users are invited to sign up by the program administrator or case manager. The sign-up process is quick and simple. One aspect of each IEP goal is the number of times data is to be sampled during the semester. 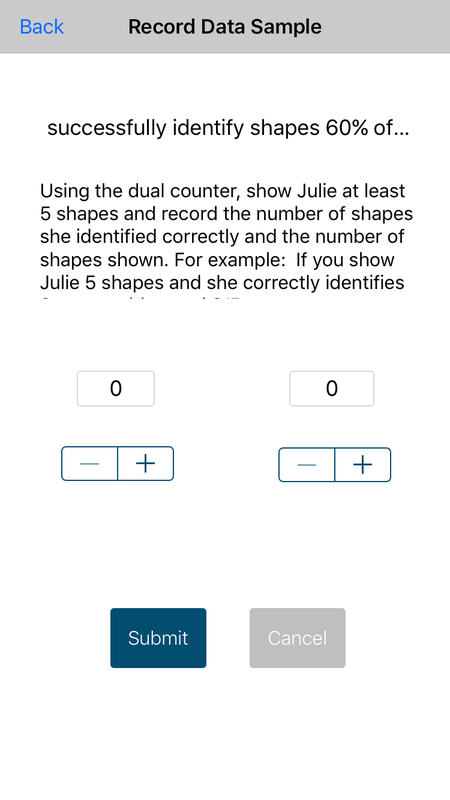 The system will automatically prompt each associated teacher when to sample and record the data. 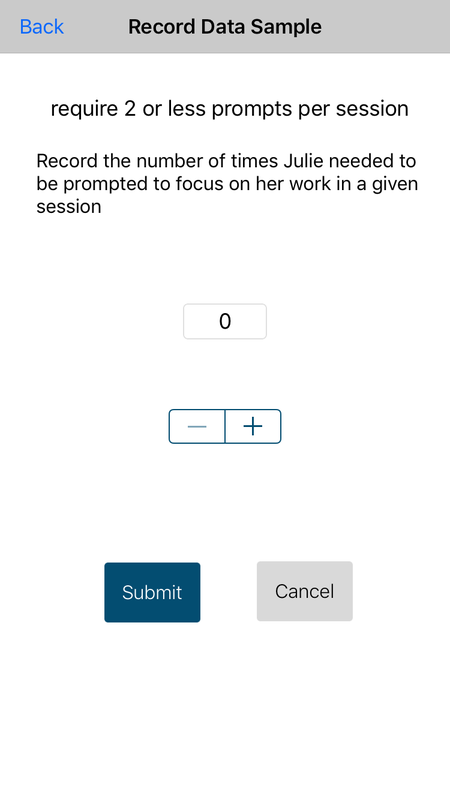 A sample could be answering questions such as "Did the student use his or her agenda today?" or "How many questions out of what total did he or she get correct?". At the end of the semester, the case manager can print the report and file per I.D.E.A. (Individuals with Disabilities Act) requirements. As required by law, the data will be stored for seven years. For student accommodations, EC-AID will allow a teacher to see the accommodations they need to provide during a particular period. Each accommodation can be recorded as being used or rejected. 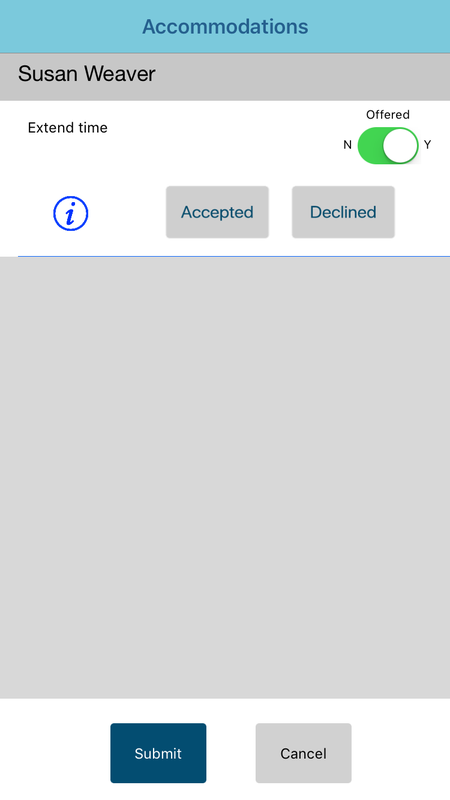 If rejected, a student signature can be captured. This gives case managers the hard data needed to prove that accommodations are offered and if they are being used. We have worked hard to keep costs low since school budgets are tight and Federal regulations are always increasing teacher workload. We offer the first 30 days as a free trial with no credit card or commitment required. After that, the price is $1 per student per month (prorated as needed). School organizations or districts managing data for 100+ students should inquire with us about bulk discounts. Discounts are also available for long term commitments (pre-pay for a 12-month period). Payment methods include credit card, check, and purchase order. There is no charge or limit for the number of users configured on an account. Invoices are created at the beginning of the month. If your balance is less than $3, we do not request payment. Instead these charges will roll to the next month and there are no late fees for this. Every educator has access to affordable tools that ease the burden of collecting, reporting and maintaining special needs student data. To provide a secure and low cost solution to special needs educators for collecting, managing and reporting data by harnessing and leveraging today’s readily available cloud, encryption and mobile technologies. Why do I need EC-AID? Federal law specifies that decisions regarding a student’s education be “data driven”. Unfortunately, there are no guidelines or processes given on how to collect or use this information. Much of the data must come from overworked teachers with no special education experience. The importance of accurately measuring goal progress may not be apparent to some. As a result, tracking becomes low priority, sporadic, and too many times, fabricated because it wasn’t tracked in a timely manner. The school district was not required to use the parent’s preferred data collection method, and was justified in using a “regression and recoupment” formula for determining a student’s need for ESY services. The court criticized the ALJ’s reliance on the experts' testimony about optimum data collection methods. Because the collection and analysis of educational data is a question of methodology, the court explained, the district was free to use any method that allowed the student to receive FAPE. The data that the district collected before and after the winter and spring breaks supported the IEP Team’s decision that the student did not require ESY services to prevent “undue regression” — the standard set by state law. A behavior specialist’s failure to collect data on the consequences of a 5-year-old child’s aggressive behavior at school invalidated her recommendations. The behavior specialist collected data on the antecedents and behavior, but failed to collect data on the consequences of the child’s behavior (she did the A-B, but not the C). Therefore, the court ruled that the FBA (Functional Behavior Assessment) developed was insufficient and failed to properly identify the child’s needs and could not be used to develop an appropriate IEP or behavior plan.